It used to be the only thing in our homes hooked to the Internet were our PCs. In a short amount of time, we added phones and tablets. 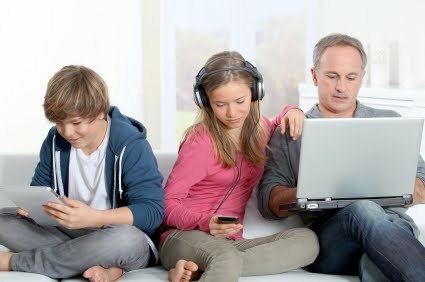 Now, there are a multitude of things we can connect to the net, in our home and in the outside world. This concept is called the Internet of Things, or IoT for short. The Internet of Things will dramatically change the world and, if we choose, our homes. IoT in the world can be sensors along the roadside that report traffic flow. It can be power meters already in many homes that automatically report meter readings to utility vehicles that pass your street. IoT can be sensors monitoring pipelines, medical equipment monitoring patients as they go about their day, buoys at sea watching for tsunamis, remote seismometers, and new uses every day. IoT may already be in your home. There are home automation lights you can control from your phone, the Harmony remote control system for controlling TVs and other home entertainment, the Ring doorbell or any of the multitude of connected home automation devices. The Amazon Echo, and Google’s just announced Home, let you ask questions, receive answers and command some home automation products. The Echo makes it easy to order from Amazon simply by asking for a product. The Ring doorbell is mounted by your front door. When someone touches the button, thinking it is your doorbell, you are alerted on your phone. You can see them and have a conversation with them. They do not know you might not be in the house. Burglars often ring the doorbell first to see if anyone is at home before entering a house. If the person is someone you trust--maybe your child coming home from school who has forgotten their key--you can activate your electronic lock on the front door and let them in or open the garage door with an opener controlled from your phone. All these devices use your WiFi access point to connect to the net. That garage door opener could be linked to your phone so that when your phone’s location sensor realizes you are approaching home, the phone sends a signal to open the garage door as you drive into your driveway. You can place water and freeze sensors in your home. These are really handy if you need to monitor a vacation home or an elderly parent's home. Smart thermostats like the Nest can help learn how you live, and adjust your heating and cooling so you are comfortable, and save you money. Home security systems now almost always use IoT capabilities to report security status to your phone. Small WiFi capable security cameras can monitor the outside of your home or wherever you choose to place them. The Ring doorbell has a motion sensor that is used to grab a photo of anyone passing near. It can alert you when a package is delivered or what time your teen came home last night after you were asleep. The Internet of Things can monitor your health through devices like the Fitbit, WiFi connected treadmills and even bathroom scales that Tweet out your weight. That last one oddly didn’t do well in the marketplace. There are sleep monitors, blood pressure and body temperature monitors all talking to apps on your phone. There are even IoT devices for your pets. There are dog collars that use GPS to report your dog's location, even being able to sound an alarm if they leave a designated area. The collar can even tell you when your dog is too hot or too cold. Your phone is itself an IoT device. It reports your presence on highways, and your speed, so that Google Map’s traffic data is useful. Search and rescue teams have saved lives by pinging the phone of lost hikers and others to find out their location. All of these devices are not without concerns. Security is one. Potentially, someone could hack your electronic door lock for easy access. Easier still though is to break a window and climb in. There are also concerns about interoperability. Your WiFi-controlled light bulbs need one phone app and its own hub, while your doorbell, door lock and water sensor may need different hubs and apps. Hopefully that will get better soon. And there is a risk of abandonment. The makers of the Nest Smart Thermostat purchased a company called Resolv before Nest was acquired by Google. Eventually, they noticed that not many people were actually using the Resolv hub, so they discontinued its cloud-based services the hub was dependent on. If you buy a IoT device and the company chooses to stop supporting it, your device may become useless. When you hear of the Internet of Things, you now realize it is your phone and items in your home, as well as a multitude of sensors and controls out in the world.